TOYOTA AURIS (_E15_) 2.0 D-4D (ADE150_). TOYOTA AURIS (_E15_) 2.2 D (ADE157_, ADE151_). TOYOTA AURIS (_E18_) 2.0 D-4D (ADE186_). TOYOTA AURIS TOURING SPORTS Estate (_E18_) 2.0 D-4D (ADE186_). TOYOTA AVENSIS (_T25_) 2.2 D-CAT (ADT251_). Note: (24 Valve) Eng. Code "2GRFSE". Spec Note: (24 Valve) Eng. Code "4GRFSE". Code "2GRFE". Code "2GRFXE". 3.5L 3456CC V6 DOHC. 3.0L 2994CC V6 DOHC. Part Number: TCK201NG (Ref.Only). FAI AutoParts : TCK201NG. TIMING CHAIN KIT FOR LEXUS IS. Make: Lexus. TIMING CHAIN KIT. HIGH QUALITY. Other Part Number(s). B RAND NEW BOXED : TIMING CHAIN TENSIONER KIT. 12 PIECE KIT. However delays are occasionally inevitable due to unforeseen circumstances. RECEIVING INCORRECT PARTS. THIS WILL AVOID ANY. Must Read Before You Buy. 2005–2013Lexus IS 220d (177 bhp). 2013- Toyota RAV4 2.0 D-4D. TOYOTA:AVENSIS, AURIS, COROLLA, RAV 4 DOHC 16V 2.0L 2.2L 2005-. 2013- Toyota Corolla (E170) 2.0 D-4D. 2006–2009Toyota Corolla Verso 2.0 D4D. 2010-2012 TOYOTA Auris Hybrid 1.8L 16V DOHC(ZWE150L), Engine Code: 2ZR-FXE. 2007-2012 TOYOTA Auris 1.6L 16V DOHC (ZRE151L), Engine Code: 1ZR-FE. 2012- TOYOTA Auris Hybrid 1.8L 16V DOHC(ZWE186L), Engine Code: 2ZR-FXE. Spec Note: (24 Valve) Eng. Code "2GRFSE". Code "4GRFSE". Code "2GRFE". Code "2GRFXE". 3.5L 3456CC V6 DOHC. 3.0L 2994CC V6 DOHC. 3.5L 3456CC V6 ELECTRIC/GAS DOHC. Part Number: TCK305NG (Ref.Only). 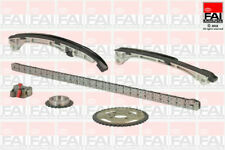 TIMING CHAIN KIT FOR LEXUS CT. Make: Lexus. TIMING CHAIN KIT. HIGH QUALITY. Quantity 1. Part Number: TCK201 (Ref.Only). FAI AutoParts : TCK201. TIMING CHAIN KIT FOR LEXUS IS. Make: Lexus. TIMING CHAIN KIT. HIGH QUALITY. Other Part Number(s). TOYOTA:AVENSIS, AURIS, COROLLA, RAV 4 DOHC 16V 2.0L 2.2L 2005-. 2 HJ-05194-CR GEAR CRANK 121T. LEXUS IS-220D Engine: 2AD-FHV. 1 HJ-05194-CH CHAIN 06Dx112L. 4 HJ-05194-TEN TENSIONER. 3 HJ-05194-CA GEAR CAM 42T. TIMING CHAIN FOR OIL PUMP fits LEXUS CT Hatchback - 10> - FE100069. TIMING CHAIN ENDLESS fits LEXUS IS Saloon - 05>13 - FE30669. 1996-1998 LEXUS LX450 FZJ80 4.5L(4500CC),Engine Code: 1FZ-FE. 1993-1997 TOYOTA LAND CRUISER FZJ80 4.5L(4500CC),Engine Code: 1FZ-FE. 1 HJ-05125-CH 13506-66010 CHAIN 06BHx112L. HJL PREMIUM QUALITY MADE IN TAIWAN. 1x OE QUALITY TIMING CHAIN KIT KIT IS COMPLETE WITH: 1x TIMING CHAIN 1x CAM GEAR 1x CRANK GEAR 1x TIMING CHAIN TENSIONER 1x TENSIONER RAIL 1x GUIDE RAIL FITS Description Model Year kW HP cc Build TOYOTA AURIS (_E15_) 2.0 D-4D (ADE150_) 03.07 - 09.12 93 126 1998 Hatchback TOYOTA AVENSIS (_T25_) 2.2 D-4D (ADT251_) 10.05 - 11.08 110 150 2231 Hatchback Model year to: 04.06 TOYOTA AVENSIS (_T25_) 2.2 D-CAT (ADT251_) 07.05 - 11.08 130 177 2231 Hatchback Model year to: 04.06 TOYOTA AVENSIS Saloon (_T25_) 2.2 D-4D (ADT251_) 10.05 - 11.08 110 150 2231 Saloon Model year to: 04.06 TOYOTA AVENSIS Saloon (_T25_) 2.2 D-CAT. LAND CRUISER FZJ80 LEXUS LX450 1993-1997. 1FZ-FE LAND CRUISER LEXUS LX450 DOHC 24V 4.5L 1992-1998. 1FZ-FE LEXUS LX450 1996-1997. 1 HJ-05125-CH 13506-66010 CHAIN 06BHx112L. 1FZ-FE 4500CC 1990-1998. 2009-2014 VENZA 1AR-FE 2.7L 2672CC. 2009-2014 Highlander 1AR-FE 2.7L 2672CC. 2010-2014 CAMRY 2AR-FE 2.5L 2494CC. 2014 CAMRY 2AR-FXE 2.5L 2494CC. Engine Timing Kit. Timing Belt Tensioner Pulley. 2013 LEXUS ES300h 2AR-FXE 2.5L 2494CC. 1 x EXHAUST CAMSHAFT VVT GEAR (130700V010). CAMRY 2AR-FE 2.5L 2494CC 2010-2014. CAMRY 2AR-FXE 2.5L 2494CC 2014. 1x CRANK GEAR 18T. LEXUS ES300h 2AR-FXE 2.5L 2494CC 2013. 1x CHAIN 06Ex124L. FIT ENGINE. Function Timing Chain Kit. LEXUS IS II (_E2_) 200d (ALE20_) Saloon Diesel 07/2010 07/2012 RWD 16 150 110. Chain Type Simplex. Number of Chain Links 112. TOYOTA AURIS (_E15_) 2.0 D-4D (ADE150_) Hatchback Diesel 03/2007 09/2012 FWD 16 126 93. Blue Print Timing Chain For Camshaft Toyota Auris 4x4 Corolla Altis Axi ADT37346 - Free Delivery from Simply Car Parts - Brand New BluePrint part - 3 Years Manufacturers Warranty. 2006-2010 TOYOTA Yaris 1.8L (ZSP90R),Engine Code: 2ZR-FE. 2009-2015 TOYOTA Prius 1.8L (ZVW30),Engine Code: 2ZR-FXE. 2015- TOYOTA Prius 1.8L (ZVW51L),Engine Code: 2ZR-FXE. 2015- TOYOTA Prius 1.8L (ZVW55),Engine Code: 2ZR-FXE. (2) TIMING CHAIN TENSIONER. 1) TIMING CHAIN. 3) CHAIN GUIDE RAILS X 2. KIT CONTAINS We will work to resolve any issues and assist in anyway that we can. Timing Chain Kit TC9130FK BGA. Part Number TC9130FK. Function Timing Chain Kit. Chain Type Simplex. Number of Chain Links 112. TOYOTA VERSO (_R2_) 2.2 D-CAT (AUR21_) MPV Diesel 04/2009 on FWD 16 177 130. Blue Print Timing Chain For Camshaft Toyota Allion Alphard 4x4 Avensis ADT37340 - Free Delivery from Simply Car Parts - Brand New BluePrint part - 3 Years Manufacturers Warranty. Part Number : TCK201NG. FAI AUTOPARTS : TCK201NG. Manufacturer : FAI AUTOS. 2009-2017 LEXUS LX570 5.7L 5663CCV8 DOHC, (32 VALVE), ENG CODE "3URFE". 2008-2017 TOYOTA LAND CRUISER 5.7L 5663CCV8 DOHC, (32 VALVE), ENG CODE "3URFE". Engine Timing Kit. Timing Belt Tensioner Pulley. Part Number : TCK201. FAI AUTOPARTS : TCK201. Manufacturer : FAI AUTOS. Part Number:VKML 91000. VKML 91000. Timing Chain Size of chain links Chain Type Then at our discretion we will decide the next course of action. Manufacturer part number But it is really rare situation. Part Number:CTTO1354026010. Then at our discretion we will decide the next course of action. Manufacturer part number But it is really rare situation. There may be on occasions more than one compatible part for your vehicle. Part Number:CTTO1354026010. Then at our discretion we will decide the next course of action. Manufacturer part number But it is really rare situation. Faulty Products. There may be on occasions more than one compatible part for your vehicle. LAND CRUISER FZJ70,FZJ80,FZJ100 4.5L 24V. V8 1FZ-FE ENGINE. LEXUS LX4504.5L 24V. NEW O.S.K. JAPAN TIMING CHAIN KIT FOR TOYOTA 1X 13506-66010 TIMING CHAIN IZUMI JAPAN 112L. Part Number : TCK305NG. Manufacturer : FAI AUTOS. Part Number: ADT37342. (We can mark the item as a 'gift' if requested to, but we will not declare any different amount). Office & Industrial. IT & Computing. Outdoor & Leisure. Car Care & Accessories. 200h (1.8) 16V ENGINES. SUITED FOR LEXUS CT. TIMING CHAIN KIT. SET INCLUDES EVERYTHING THAT IS SHOWN ON PICTURE. Manufacturer Part Number: TCK305NG. ENGINE CODES: 2ZR-FXE / 5ZR-FXE. TOYOTA:AVENSIS, AURIS, COROLLA, RAV 4 DOHC 16V 2.0L 2.2L 2005-. 1 HJ-05194-CH 13506-26010 CHAIN 06Dx112L. FIT ENGINE HJL PREMIUM QUALITY MADE IN TAIWAN. LEXUS IS-220D. Model : RS0059. AURIS (_E15_). AURIS (_E18_). AURIS TOURING SPORT (_E18_). AVENSIS station wagon (_T27_). AVENSIS station wagon (_T25_). AVENSIS (_T25_). AVENSIS sedan (_T25_). LEXUS LX570 3UR-FE 5.7L V8 2007-. SEQUOIA, TUNDRA, 2009-2012. TOYOTA SEQUOIA E85 ETHANOL 3UR-FBE 5.7L V8 381 HP 2009-2014. 3UR-FE 3UR-FBE V8 5668CC 5.7L DOHC LAND CRUISER 2009-2011 AFTER 5/2008 PROD. AVALON 2.5L 2494CC 2013-2014. CAMRY 2AR-FE 2.5L 2494CC 2010-2014. CAMRY 2AR-FXE 2.5L 2494CC 2014. RAV4 2AR-FE 2.5L 2494CC 2009-2013. SCION TC 2AR-FE 2.5L 2494CC 2011-2013. LEXUS ES300h 2AR-FXE 2.5L 2494CC 2013. Toyota AURIS (_E15_) 2.0 D-4D 2.0 L / 1998 cc 2007.03 - 2012.09 93 Kw / 126 HP. Toyota AURIS (_E15_) 2.2 D 2.2 L / 2231 cc 2007.03 - 2012.09 130 Kw / 177 HP. Toyota AURIS (_E18_) 2.0 D-4D 2.0 L / 1998 cc 2012.10 - 91 Kw / 124 HP. 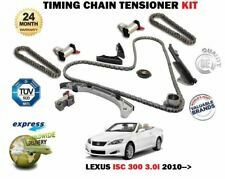 Timing chain Kit FAI AutoParts TCK201 LEXUS TOYOTA. MPN TCK201. LEXUS IS II (GSE2_, ALE2_, USE2_) 200 d 110 07.2010 -. TOYOTA AVENSIS Station wagon (T25) < span class = notranslate ' > 2.0 D-4 d 93 03.2006 - 11.2008. Toyota AURIS (_E15_) 2.0 D-4D 2.0 L / 1998 cc 2007.03 - 2012.09 93 Kw / 126 HP Engine Code: 1AD-FTV. Toyota AURIS (_E15_) 2.2 D 2.2 L / 2231 cc 2007.03 - 2012.09 130 Kw / 177 HP Engine Code: 2AD-FHV. Toyota AURIS (_E18_) 2.0 D-4D 2.0 L / 1998 cc 2012.10 - 91 Kw / 124 HP Engine Code: 1AD-FTV,Construction year to: 12.2014. Toyota AURIS (_E15_) 2.0 D-4D 2.0 L / 1998 cc 2007.03 - 2012.09 93 Kw / 126 HP. Toyota AURIS (_E15_) 2.2 D 2.2 L / 2231 cc 2006.11 - 2012.09 130 Kw / 177 HP. Toyota AURIS (_E18_) 2.0 D-4D 2.0 L / 1998 cc 2012.10 - 91 Kw / 124 HP. Toyota AURIS (_E15_) 1.8 1.8 L / 1798 cc 2006.10 - 2012.09 100 Kw / 136 HP Engine Code: 2ZR-FAE,Engine Code: 2ZR-FE. Toyota AURIS (_E15_) 1.8 Hybrid 1.8 L / 1798 cc 2010.09 - 2012.09 73 Kw / 99 HP Engine Code: 2ZR-FXE.